My contribution about James Mallinson and other western experts. Best regards. James Mallinson’s interest in yoga grew out of a fascination for India and Indian asceticism – he spent several years living with Indian ascetics and yogis, in particular Rāmānandī Tyāgīs. His MA thesis, part of a major in ethnography, was on Indian asceticism. He became dissatisfied, however, with (to quote Sheldon Pollock) the “hypertrophy of method” that afflicts much of the humanities, and anthropology in particular, so sought to ground his future research in philology. The one aspect of ascetic practice that is well represented in Sanskrit texts is yoga, so for his doctoral thesis he chose to edit an early text on haṭhayoga, the Khecarīvidyā, which teaches in detailkhecarīmudrā, one of traditional haṭhayoga’s most important practices, and he used fieldwork among traditional yogis in India to shed light on the text’s teachings (but not so much light that he had to justify his methods!). As he worked on his thesis he became more and more unsure that the received wisdom on the origins of haṭhayoga (whose practices form the basis of much of modern yoga) was correct, in particular its blanket attribution to the Nāth sect, based as that wisdom was on a very small selection of the available texts and modern oral history (which is rarely a reliable source in India). But it was clear that to put his work in the broader context was going to be impossible while working on his thesis. When he was revising it for publication a few years after completing it, he was asked to contribute to a volume on the Nāths and their literature. He agreed and decided to concentrate on the corpus of texts of haṭhayoga. It soon became apparent that this was going to be too big a task for a single chapter of a book and he apologised to the volume’s editor but continued with his research. Four years on he has identified a corpus of eight works that teach early haṭhayoga and about a dozen more that contribute to its classical formulation in the Haṭhapradīpikā. With this philological basis established it has been possible at last to put all ofhaṭhayoga’s aspects into context, which is what he is doing in the monograph on which he is currently working, Yoga and Yogis: The Texts, Techniques and Practitioners of Early Haṭhayoga, which he hopes will be published in 2012. Many of the conclusions that can be drawn from the corpus and the other sources he uses (from Mughal miniatures to his fieldwork amongst traditional yogis) overturn what was previously thought about yoga’s formative period. Although he has decided to present the bulk of the findings in a single monograph (because its parts are all so interdependent), in the course of working on it he has written various spin-off articles and reviews on specific aspects of haṭhayoga. 2009 The Ocean of the Rivers of Story by Somadeva. 2 ~ Vol. New York University Press. 2007 The Ocean of the Rivers of Story by Somadeva. Vol ~ 1. New York University Press. The Shiva Samhita 2007. New York: YogaVidya.com. Messenger by Kalidasa Poems 2006, Rupa & Dhoyi Gosvamin. New York University Press. 2005 The Emperor of the Sorcerers by Budhasvamin. 2 ~ Vol. New York University Press. 2005 The Emperor of the Sorcerers by Budhasvamin. Vol ~ 1. New York University Press. 2004 The Gheranda Samhita. New York: YogaVidya.com. Forthcoming (2011) Entry on “Hatha Yoga” in the Brill Encyclopedia of Hinduism Vol ~ 3. Forthcoming (2011) Entry on “The Nath Sampradaya” in the Brill Encyclopedia of Hinduism Vol ~ 3. Forthcoming (2011) “The yogis’ Latest Trick”. Review article in Tantric Studies (University of Hamburg). Forthcoming (2011) Entry on “The Kumbh Mela” in Keywords in Modern Indian Studies to be published by Oxford University Press (Delhi) in the series “SOAS Studies on South Asia”. Forthcoming (2011) “Siddhi and Mahāsiddhi in Early Haṭhayoga” in Yoga Powers, ed. Knut Jacobsen. Brill. 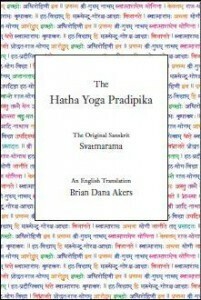 Forthcoming (2011) “The Original Gorakṣaśataka,” in Yoga in Practice, ed. David Gordon White. Princeton University Press. 2007 Channel 4 documentary, The Beginner’s Guide to Yoga, que Also was broadcast on the Discovery Channel. I devised the Programme, co-presented it and was associate producer. Professor Christian Rodriguez or Yogacharya Yogi Om, is a teacher, writer and international Yoga speaker born in Buenos Aires in 1975, has written twelve books, all relating to Yoga and the knowledge contained in that discipline. These books have been published in audiobook format, according to the author, for ecological reasons. the lineage of yoga created 5,000 years ago in the foothills of the Himalayas in northern India. His Guru, RamanandaSuryaPraryaYogi, proceeded to bequeath the ancient knowledge, which have been transmitted from master to disciple, in the secret oral tradition, and under the gurukula system, since the creation of Yoga 5000 years ago. He has given numerous lectures in his country (Argentina) and South American countries such as Chile, Peru, Bolivia, Paraguay and Ecuador. Recently approved by his guru, he is revealing ancient knowledge pertaining to yoga, which had never been released outside of the lineage. Such knowledge disclosed, have caused a real sensation and impact in India and among the followers of yoga and experts from around the world, among which are also Indologists, archaeologists and ancient india historians, who have also been interested in their disclosures. His disclosures have also been of great interest to scholars and researchers of the ancient text Samudrika Shastra, they consider that the recently disclosed information could be the basis on which the text is drawn above. The Samudrika Shastra deals mainly cast by the morphological characteristics of the hands, face and external skull shape and the psychological implications. Other stakeholders in its disclosures have been the Vastu experts, which have found new information on that discipline. Absolute admirer of Mahatma Gandhi, Professor Christian Rodriguez is a strict vegetarian for spiritual, moral and ethical grounds by definition. Also practiced animal protectionism, making work with their students and followers rescuing abandoned public roads (karma yoga), which animals receive appropriate care in order to be granted for adoption. Is also an active environmentalist, however, is proclaimed in favor of ecology on a personal level, without resorting to clusters. Throughout the years he has collected thousands of discarded (karma yoga). He estimated result of having these batteries discarded with ordinary waste have contaminated the amount of one billion liters of water. Respecting his Guru tradition, has always adopted a low profile and an uncompromising stance on appearances on radio, television, print and other media. His books have been published, “for ecological reasons” according to its author, in audiobook format. The books have been published in Spanish (aimed at Spanish-speaking countries), in english language for English speakers, and in Hindi and Gujarati language aimed at readers in the Republic of India. Books can only be purchased directly through reviewers teacher, not being available in stores or Internet sites selling. Among the famous people who have purchased his works include the British singer and yoga practitioner Sting. PROFESSOR CHRISTIAN RODRIGUEZ (YOGACHARYA YOGUI OM) IS THE ONLY FOLLOWER, OUTSIDE INDIA, YOGA LINEAGE CREATED 5.000 YEARS AGO IN THE FOOTHILLS OF THE HIMALAYA, IN NORTHERN INDIA. YOUR GURU, RAMANANDA SURYA PRARYA YOGI PROCEEDED TO BEQUEATH BY ANCESTRAL KNOWLEDGE, WHICH HAVE BEEN FORWARDED FROM MASTER TO DISCIPLE, IN ORAL SECRET TRADITION, AND UNDER THE SYSTEM GURUKULA, SINCE THE CREATION OF YOGA, 5,000 YEARS AGO. PROFESSOR CHRISTIAN RODRIGUEZ, NEWLY AUTHORIZED BY YOUR GURU, SET TO RELEASE FIRST TIME IN THE HISTORY OF KNOWLEDGE YOGIC 5,000 YEARS OLD, WHICH HAVE ONLY BEEN DISCLOSED SECRETLY FORWARDED TEACHER AND A DISCIPLE, BUT NEVER DISCLOSED TO ANYONE OUTSIDE THE ANCIENT LINEAGE. IN INDIA, OVER 5,000 YEARS AGO, THE ANCIENT YOGIS PROCEEDED TO CREATE AND RAJA YOGA HATHA BUILD. THESE ARE TRANSMITTED KNOWLEDGE IN A STATEMENT IN THE ORAL TRADITION UNDER GURUKULA SYSTEM IN WHICH THE STUDENT LIVES WITH HIS GURU UNTIL THE END OF THE LEARNING. THE AUTHOR, WHO PURCHASED SUCH KNOWLEDGE THROUGH ANCIENT YOGIC SECRET TRADITION, PROCEED TO FIRST DISCLOSE. AN HISTORIC BOOK, RECORD, A REAL DOCUMENT, WHICH RESULTS MUST, WHETHER DISCLOSURE, FINDINGS, AND CONSULTATION IMPROVEMENT. Professor Ramiro Calle is a pioneer in teaching yoga in Spain, discipline taught for more than 30 years ago in the center of Yoga and Orientalism “Shadak”. It is the most important Orientalist writer of this country and one of the most important in Europe. Author of several works, has extensively studied the therapeutic effects of Eastern psychologies and meditation contributions to psychoanalysis, psychotherapy and neuroscience. He was the first to promote medical research on Yoga therapy in Spain, in collaboration with leading physicians and specialists. Vegetarian, for 40 years tirelessly explored, recovered and applied the methods of peace and balance, synthesizing knowledge of Eastern and Western psychologies. Director since 1971 Yoga Center “Shadak”, the largest yoga center in our country, directly taught yoga, relaxation and meditation techniques over three hundred thousand people, helping them to prevent and combat psychosomatic problems . His books Orientalism and self-help have been read by millions of people, mostly Hispanic. His frequent trips to Eastern countries (more than 50 in India), have allowed him to interview the relevant specialists, teachers and Orientalists, including all those interviews and teachings in his books and papers. He has participated in numerous radio and television which has spread yoga techniques at national and international level. Write, among others, two of the strongest publishing groups: PLANET and ANAYA. For more than 200 published works and his continuous appearances on radio and television, is well known throughout Latin America. His latest video-relaxation book has sold more than 60,000 copies, and some of his most important works have even surpassed that figure. Many of his works are frequently reprinted. Novel: “The Fakir” – Martinez Roca, “The Dervish” – Martinez Roca; “Govinda” – Jaguar. He has directed the following collections: “Techniques for the knowledge of self and others”, “Nirvana”, “Oriental Library Authors”; etc. He currently manages the collection “Light of the East” Publisher Edaf, “Learning to Live” and “lamp Wisdom” of the Jaguar publisher. 30 years Director of the Center for Yoga “Shadak” does, teaches physical yoga (Hatha Yoga) and mental yoga techniques and meditation (Radja Yoga) numerous people. Yoga teacher at the Autonomous University of Madrid and Senior Classrooms (Ministry of Culture). Extensive experience in the application of methods of relaxation and meditation for people with stress, anxiety, depression and addictions. He has applied the techniques of calming even the seriously ill. It is recognized in many varied sectors of the population as a great expert on psychosomatic health and psychic balance. It has a strong reputation among countless doctors, psychoanalysts and psychologists. Among his students are people from all walks of life, from housewives to artists, business leaders and politicians. Lecturer prestige has also directed numerous courses throughout the country (eg, “Yoga and Psychoanalysis” at the Center for the Study and Application of Psychoanalysis). With great convening power, in their lectures and courses has come to bring together more than 1,300 people. He has made over 60 trips Asian countries, visiting India in more than 50 occasions. He has been invited 5 times by the Government of India, in gratitude for their continuing research and promotion of yoga and Indian culture. Author of many books, guides and articles on Orientalism, also has 24 cassettes, videos and CD-rom. He has worked in the Spanish edition of many books of the most important orientalists, teachers and scholars.